But ... how big is the whole lobster?! No, this isn't a scene from "20,000 Leagues Under the Sea." The big box retailer is already known for its plentiful supply of massive products. They've sold buckets of Nutella and even a large wedding cake made entirely out of cheese. Recently, however, eerily large lobster claws have been spotted at various store locations in the seafood department. The 3- to nearly 5-pound claws are so gargantuan that one can only imagine what the whole lobster actually looked like. Intimidating as they may be, these claws are also full of delicious meat. 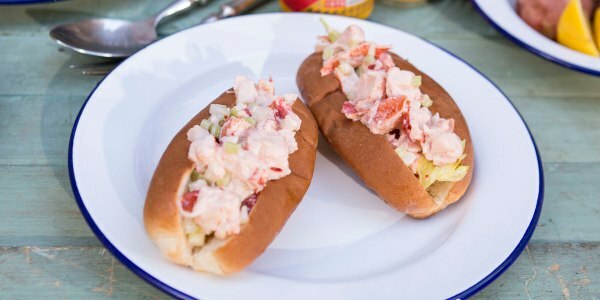 The biggest problem with a larger lobster is that the shell will be extremely thick and tough to crack — but, according to some customers, that's just a small price to pay for bringing such a novel treat to the dinner table. 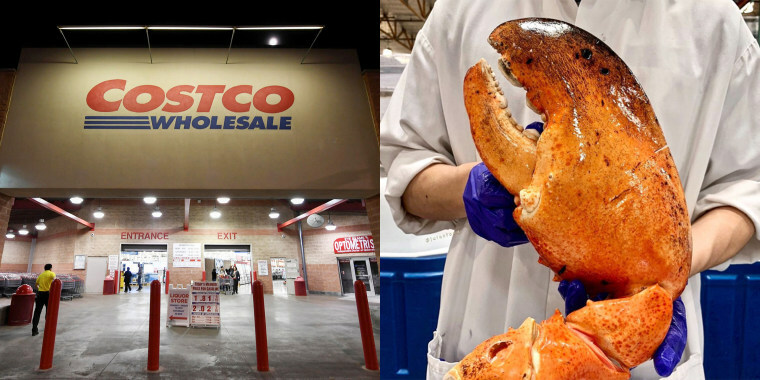 One photo of a 3-pounder was shared by popular food blogger @julesfood, who found a monstrous claw at a Costco in Newport Beach, California. "Ginormous '3 lb' LOBSTER CLAW !!!... Have you EVER ?!... This thing is unreal ! I mean, come on. I’ve seen a few big claws at Costco before, but this one’s crazy ! We just had to get it. It might be 1/2 it’s weight in shell, but worth it already. The family’s had their fun photo ops, now it’s going on the grill. I can’t promise an inside pic, they’re too anxious to eat this monster. I hope we have enough butter ?" she posted. That would have to be a lot of butter ... good thing shoppers are already at Costco! Unfortunately for people who don't live on the West Coast, these wonderfully scary crustacea have only been spotted at Costco stores in California. Pictures of the large claws are starting to go viral and people are totally in awe (and totally freaked out) by how big they are. When reached via email, a representative from the store would not specify the current availability of the larger-than-life claws since products at different Costco stores can vary widely. However, Jules told TODAY Food that she spotted the gigantic claw featured in her Instagram post on Sunday. Another instagrammer, who geo-tagged the photo in Napa Valley/Sonoma, photographed a 4.7-pound claw, which was priced at $9.99 per pound — a total just shy of $47 for a decadent feast. While these giant claws may seem like a total extravagance, depending on how much meat is actually in there, they may actually be a good deal compared to standard lobster prices. Boston-based wholesaler Yankee Lobster Company, lists whole jumbo lobsters that weigh 6 pounds or more at $10.99 pound, while online retailer Maine Lobster Now lists 10- to 15-pound lobsters at about $20 per pound. So if you're looking for a lot of lobster meat to feed a hungry crowd in one sitting, it may be worth the trip to California.